House GOP: Graduated Tax Threat to Illinois Jobs, Families. 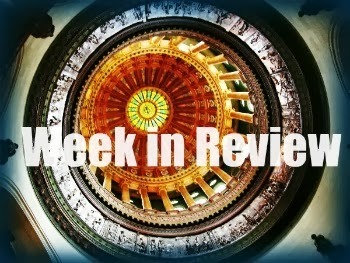 On Monday, House Republican Leader Jim Durkin (R-Western Springs) and members of the Illinois House Republican caucus announced their unanimous opposition to the graduated income tax proposal introduced by legislative Democrats. The plan, currently filed as HJRCA 33, would replace the state’s current flat tax with a graduated income tax system, with rates to be determined by the General Assembly. Representative Bill Mitchell (R-Forsyth) believes a graduated tax would be a jobs killer for Decatur. For more on this story, including video from Monday’s press conference, please click here. Don’t forget to sign our online petition opposing the Democrats’ graduated income tax proposal. House Republicans Introduce Legislation to Combat Heroin Epidemic. A group of House Republican Lawmakers are taking action to fight Illinois’ growing heroin epidemic. House Republican Leader Jim Durkin (R-Western Springs), State Representatives Dennis Reboletti (R-Elmhurst), Patti Bellock (R-Hinsdale), John Cabello (R-Machesney Park), and Sandy Pihos (R-Glen Ellyn) were joined by DuPage County State’s Attorney Robert Berlin and DuPage County Judicial and Public Safety Committee Chairman Grant Eckhoff on Thursday to announce a comprehensive package of legislation designed to address heroin abuse and related crimes. “Heroin has claimed too many lives – leaving behind families devastated by their loss. It’s our hope that the package of bills introduced here today will prevent the loss of life and protect other families from having to experience such pain in the future. I would like to applaud the efforts of State Rep. Dennis Reboletti, DuPage County State’s Attorney Bob Berlin, the DuPage Heroin Coalition; DuPage County Judicial and Public Safety Chairman Grant Eckhoff ; Reps. Sandy Pihos, Patti Bellock and John Cabello for their work in developing and supporting these bills,” said Durkin. The House Republicans’ plan would create a pilot program in DuPage County to establish a secure substance abuse treatment facility that will be a joint partnership between the state and county to serve as a “last chance” option for those convicted of drug crimes. Please click here for more information on House Republican efforts to combat Illinois’ growing heroin epidemic. Illinois facing an ongoing budget shortfall in FY15. The deficit is a likely outcome of the decision by House and Senate Democrats to enact the largest tax increase in the history of Illinois, SB 2505, on a “temporary” basis. SB 2505 was enacted by party-line vote in January 2011, increasing individual income tax rates from 3.0 percent to 5.0 percent. The impending phasedown of part of the increase, scheduled to take effect on January 1, 2015, will reduce revenue by an estimated $1.6 billion compared to the current fiscal year. This drop in income tax revenues will happen at the same time as record sums are being sought from State general revenues for Medicaid and other entitlement-related health care expenses paid by Illinois taxpayers. Although Gov. Pat Quinn has refused to submit a formal State budget for FY15 until late March 2014, eight weeks after the start of the 2014 spring session, the Illinois House is attempting to prepare for the serious choices facing lawmakers in the approaching fiscal year by calling State department heads and other budget experts to submit testimony to key House committees. The House Revenue & Finance and State Government Administration committees scheduled a joint FY15 revenue estimate hearing for Tuesday, February 18. More than 40,000 concealed carry applications filed. The Illinois State Police released updated numbers Thursday indicating that more than 40,000 concealed carry license applications have been filed statewide. Only 644 objections have been made to date by local law enforcement. For more information on concealed carry, please visit the State Police’s concealed carry website. Price of propane spikes above $4.00/gallon. Liquefied petroleum (LP) is used not only for rural heating but also essential agricultural operations such as crop drying and heating for buildings in which farm animals are raised and milked. A series of cold snaps throughout the Midwest has strained existing supplies of the natural-gas-based energy source, and has caused homeowners to receive bills topping $2,000 for the refilling of a standard 500-gallon tank. House Republicans have taken the lead in demanding action on reducing the price of propane. Short supplies of the fuel could partly resolve in coming weeks due to warmer temperatures and the decline in statewide demand, but the coming of spring will not solve the systemic problems that have affected supplies. Many Downstate Republicans have followed up on their strong support for increased Illinois natural gas drilling (SB 1715) with support for the ongoing Illinois “rulemaking” process that is expected to create a green light for the enlarged drilling opportunities. New drilling prospects could include the injection of “fracking” chemicals into Illinois shale rock deposits, as is done successfully in states such as North Dakota and Texas. More Illinois natural gas could mean greater supplies of propane and other natural gas liquids throughout Illinois and the Midwest. House Executive Committee to hold hearing on Monday, Feb. 17 at the Tinley Park Convention Center. Advocates are calling for a renewed look at a proposed expansion of casino gaming opportunities throughout Illinois. Tax revenues from expanded gambling could be used to fund various public-sector needs and projects and additional taxes would be levied to benefit the local governments that host the casinos. Casinos could be added in the city of Chicago; Chicago’s O’Hare and Midway airports; in an undetermined location in the south suburbs of Chicago; in a location near Waukegan in Lake County; in downstate Danville and Rockford; and in the five operating horse racetracks located throughout Illinois. Further discussions and debate on this controversial issue are expected. The Champaign News-Gazette speaks out against lame-duck lawmaking. Asking the people of Illinois to “put lame ducks out of business,” the News-Gazette joined with House Republicans calling for an end to the loophole used by political bosses in the General Assembly. In an especially notorious incident in January 2011, lame-duck senators and representatives – including temporary members appointed by local political bosses and lawmakers who had been defeated in races for re-election – joined with bare Democrat majorities to enact the largest income tax increase in state history. Illinois working families awoke to find their taxes had been raised by 67 percent, costing the average family nearly $1,500. House Republicans have listened to advice from all over Illinois calling for reforms to be made to this notorious loophole. HJRCA 43, sponsored by House Republican Leader Jim Durkin and more than three dozen colleagues, would put an end to lame-duck sessions by shortening the period of time between an election and the moment a new General Assembly and Governor are sworn in (the “lame-duck period”) and ensuring that any action taken by lawmakers during this brief November-December period is consensus action in response to true emergencies. Gov. Quinn’s Medicaid waiver proposal faces uncertain prospects. The five-year overhaul was announced on Wednesday, Feb. 12. Although slated to bring in up to $5.2 billion in increased federal aid, the proposal would also increase State Medicaid matching fund appropriations needs in newly identified medical care areas and would require the approval of the U.S. Department of Healthcare and Human Services (HHS). Quinn’s office described his proposal as one that would sharply increase supplies of certain medical services that are not fully covered, or remain uncovered, by traditional Medicaid programs operated in Illinois. Examples include mental health services, addiction treatment, home-based fare for persons with disabilities, and community-based care for persons with disabilities. A significant aspect of this proposal is the assumption that increased services provided to eligible Illinois residents in areas such as those listed above could lead to lower demand for Medicaid services in other spending areas already covered. For example, persons with mental health challenges, if granted needed treatment, could pay fewer visits to emergency rooms. House Republicans responded to the Governor’s proposal by expressing their intention to study the proposal carefully, but expressed skepticism that its implementation would generate the promised savings. For example, a challenged patient might well demand both more mental health care and more emergency room care. New damage inventory finds $21.4 million in November 2013 storm-related damage to Illinois infrastructure. The revised inventory strengthens the State’s appeal of a denial by FEMA of Illinois’ request for disaster assistance for storm-damaged local governments. Disaster assistance of this type is routinely given in cases where a killer storm or other event has caused massive damage to local governmental infrastructure, including public-safety infrastructure such as police cars and firefighting stations, but in the case of the November 17, 2013 squall line and tornado outbreak, the Obama Administration has so far refused to provide this assistance. The largest single share of the $21.4 million bill was reported by the severely damaged municipality of Washington, Illinois, in Tazewell County east of Peoria. FEMA has provided some help to individual property owners also affected by the disaster. Hearing focuses on Metra problems. The House Mass Transit Committee held a public hearing on Monday, Feb. 10 on the schedule delays and other service problems that have affected riders on Metra, the agency that operates commuter train service throughout Northeast Illinois. Metra’s testimony Monday included the revelation that the troubled commuter train authority had been able to operate only 30 percent of its trains on time during the severe weather conditions of Jan. 6-7, a period that saw a “polar vortex” hit the Chicago area. Naperville forum leads to sharp questions for new Metra boss. In response to public concerns following the severe weather-related delays and near total shutdown of the Metra system in early January, Representatives Ron Sandack (R-Downers Grove) and Darlene Senger (R-Naperville) hosted a public forum for local residents and commuters to ask questions and get information on Metra readiness and response policies during severe weather events. Newly-appointed Metra CEO Don Orseno made a presentation to area lawmakers and concerned citizens in Naperville on Monday. Orseno described the combination of aging infrastructure, weather challenges, and freight-train-related delays that have influenced the ability of Metra train lines to provide timely service to its more than 305,000 daily commuters and other users. Metra operates diesel and electric train service on 1,155 miles of trackline in the Chicago area. 11 train lines operated by Metra serve 241 stations throughout northeastern Illinois.